Latest advances in excavator technology such as intelligent machine control and hybrid power are delivering significant gains in productivity as well as lower fuel consumption and environmental benefits, writes Hartley Henderson. Komatsu Australia has released the PC210LCi-10 which the company says is the world’s first intelligent machine control excavator, featuring a revolutionary and fully factory integrated 3D machine control and guidance system. With an operating weight range of 23.3 tonnes, the machine is powered by a Komatsu SAA6D107E-2 diesel engine, complying with US EPA Interim Tier 4 emissions requirements and rated at 123kW. Komatsu advises that its exclusive control function is designed to let operators focus on moving material efficiently, without having to worry about digging too deep or damaging the target surface, and can result in more than 60 percent improvement in work efficiency when compared with conventional construction processes. According to Aaron Marsh, Komatsu Australia’s Technology Solution Expert Team Manager, Smart Centre, the PC210LCi-10 represents the industry’s first move from conventional excavator machine ‘guidance’ systems – which require the operator to dig according to an in-cab indicate system – to actual machine control. “With conventional excavator guidance systems, the final finish quality depends entirely on the skill of the operator. One of the biggest problems customers have with these systems is speed, because operators have to constantly monitor the system to check that they are on grade,” he said. From bulk excavation to finish grading, the PC210LCi-10 excavator has been designed to drastically improve efficiency and precision on work sites. The new excavator’s intelligent control system, which shares similarities with Komatsu’s recently launched intelligent dozer line, offers real time bucket edge positioning in relation to the machine and job surface. Key components include built-in stroke-sensing hydraulic cylinders on the boom, arm and bucket, an enhanced Inertial Measurement Unit, a 12.1 inch touch-screen control box inside the cab which works from project design files, and two GNSS antennas behind the cab, plus a GNSS receiver located inside the machine. Aaron says the new intelligent excavator truly represents the next generation in construction equipment technology. “It brings the full benefits of the machine control revolution we’ve seen over the past decade to excavators for the first time – a massive step forward for what is the key piece of earthmoving equipment on any worksite,” he said. “It delivers not only improved work accuracy, but also improved construction efficiency. Jobs such as staking, survey and even final inspection, which are usually completed manually, can be significantly reduced by utilising the 3D design data held within the machine. The first in a new generation of Hitachi excavators, the ZH210-5 hybrid has been designed to deliver reliable performance with fewer emissions and less fuel than conventional models. According to Hitachi’s National Product Manager- Wheel Loaders & Excavators, Shannon Bethe, the ZH210-5 hybrid is more economical for owners, easier for operators and better for the environment. 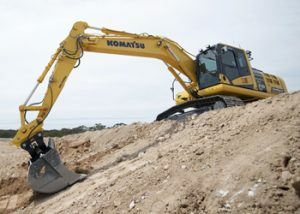 “It incorporates advanced technologies adopted from hydraulic, electric and battery powered excavators, resulting in the TRIAS HX system which reduces fuel consumption and CO2 by 31 percent,” he told Hire & Rental Australasia. “The swing motor converts energy recovered from swing braking into electrical energy. This electrical energy is transmitted via the power control unit to the capacitor unit. The stored electrical energy is used to drive the engine and help swing the upper structure. Using swing momentum is the basis for hybrid technology which reuses energy and saves fuel,” he said. “The new ZH210-5 hybrid excavator will provide energy saving performance on any earthmoving or construction site but without compromising on power, speed or ease of operation. Thanks to the flexible combination of a proven hydraulic motor and an ecofriendly electric motor, it can give the same high levels of efficiency and smooth swing motion as all ZAXIS-5 hydraulic models. Hitachi has also released the new ZW PL-5 Tool Carrier wheel loaders which Shannon says provides enhanced productivity, comfort, advanced technology, environmental performance and easy maintenance. 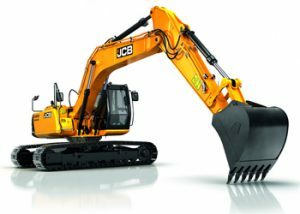 JCB Construction Equipment Australia has introduced the new JS200LC (long carriage) excavator following the launch of the JS200SC short carriage model. The JS300LC has also been revised with a new HD counterweight for the Australian market, thus increasing the machine’s weight by an additional 800kg to offer improved performance and stability. According to JCB’s National Product Manager for Heavy Excavators, Deon Cope, JS excavators are now supplied with the award winning JCB DieselMAX and EcoMAX engines across the complete range, offering a 4 cylinder 4.4L in the JS 130 and JZ140 models, 4.8L engines in the 200 series, and 6 cylinder 7.2L engines in the 300 series. “All engines offer best in class fuel efficiencies, and matched high torque at low engine RPM with an advanced modern cylinder head combustion system without the requirement exhaust after-treatments or diesel particulate filters. All engines are also specifically designed for off-highway use,” he said. “We have experienced up to 10 litres per hour fuel reductions in the 300series and 6-8 L/PH in the 4 cylinder engines compared to previously sourced engines from Japan. “Great results have been achieved on the 13-22t class of machines, especially with the JS200SC. This model has been supplied into the construction, demolition and rental markets to name a few and has been the main driving force to introduce the new JS200LC to offer the local market another option in this space. JCB also offers locally sourced hydraulic hitches that the company says are better suited to local regulations. Deon advises that an option is available to upgrade a hitch sequence system to a higher specification that is not currently required in Australia, but is becoming more popular in Europe with the use of tilt sensors to ensure best practice when unlocking attachments. Doug McQuinn, General Manager Sales & Service at Kobelco, says the introduction of off-road vehicle engine emission regulations by the NSW EPA from January 2018 is causing confusion in the industry. “NSW State Government tenders for road contracts will have a weighting for lower emission machines used on those projects. These new regulations basically specify a minimum Tier 4 Final engine as opposed to most current engines which are Tier 3 or interim Tier 4, so the requirements are similar to those in Europe and America. Kobelco recently introduced a large excavator 30t model SK300LC-10 to fill a gap in its range and Doug says the new machine is selling well across all states. According to Product Coordinator at Kubota, Nathan Thomas, more zero tail swing machines than ever means less conventional type excavator models are being sold even though these are still quite strong in the market. “We recently released the U27-4 mini excavator that is suitable for a wide range of applications including digging trenches, laying pipes, demolition, road-side work and using rock breakers,” he said. 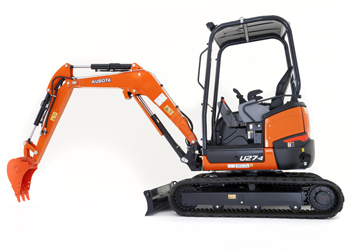 “The U27-4 is designed to handle the challenging jobs that are not suitable for big excavators. Its zero tail swing lets you travel through and turn smoothly in tight spaces, and its powerful digging force and easy simultaneous operation of four functions delivers outstanding performance. “With zero tail swing, the tail’s minimal protrusion outside the track width lets you turn throughout its 360 degree turning radius with confidence and safety, making this mini excavator ideal for work in congested urban areas and inside buildings. JCB’s Deon Cope observes the industry is travelling the best he has seen it in a long time with a positive outlook in most states, particularly in the metro markets. “However, a major potential challenge for the industry is the introduction of emission regulations. The lack of a national approach needs to be addressed as to how the industry deals with the change if we move to a legislated emission market,” he said. 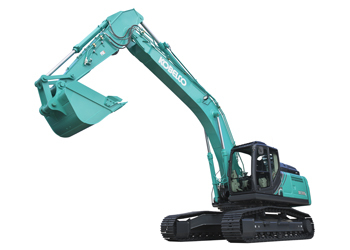 Kobelco’s Doug McQuinn says strong housing markets in Victoria and NSW in particular are driving demand for mini excavators. “Small mini excavators (under two tonnes) make up the largest share of the excavator market in Australia (25 per cent) and our SK17SR model in this category is a big seller for us,” he said. “In larger excavators there is strong demand as always for 13t models, although we have strong sales across our entire range. “The entire excavator market in Australia was up by almost 16 per cent at May 2017 YTD and shows no sign of slowing. There are enough federal and state funded projects in the pipeline to keep demand for excavators growing. “In relation to future directions, greater use of machine guidance and machine control (Trimble, Topcon and Leica in particular) is occurring with 2D and 3D systems becoming available on factory–production machines. 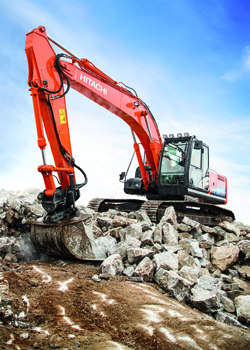 Hitachi’s Shannon Bethe says the industry is experiencing a very buoyant hire and rental construction equipment sector with significant demand levels which are driven in particular by large infrastructure projects. projects and infrastructure to be developed. “The mini excavator market is at its strongest ever,” he said.